Hostel Lullaby - Old City, Chiang Mai, Thailand - Great discounted rates! 9.6 out of 10 based on 41 verified user reviews via Agoda. Hostel Lullaby is a popular choice amongst travelers in Chiang Mai, whether exploring or just passing through. 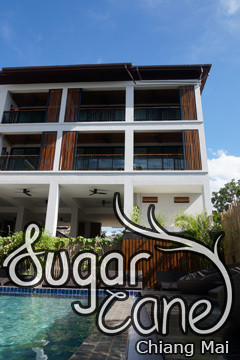 The property offers a high standard of service and amenities to suit the individual needs of all travelers. Free Wi-Fi in all rooms, daily housekeeping, tours, laundry service, shared kitchen are there for guest's enjoyment. Some of the well-appointed guestrooms feature flat screen television, linens, mirror, slippers, towels. The property offers various recreational opportunities. Hostel Lullaby combines warm hospitality with a lovely ambiance to make your stay in Chiang Mai unforgettable. Hostel Lullaby - Chiang Mai classifies itself as a 3 star hotel.